Cartoon: a door with hinges on both edges – making it impossible to open the door. 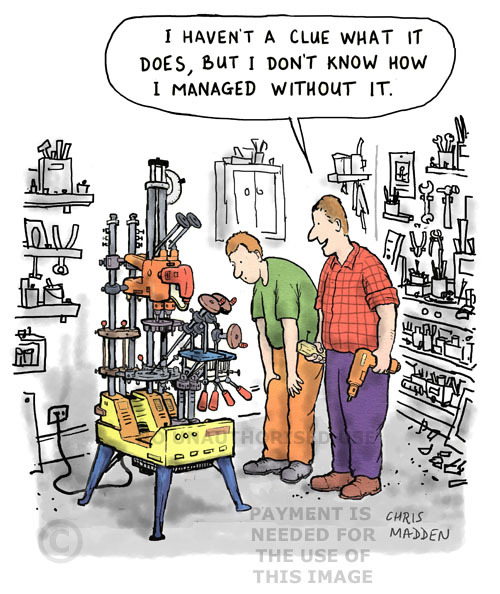 The hinges in this cartoon are a metaphor for devices (or people, or institutions) that are meant to make things function better, but that make them worse when over-used. The point of the cartoon is that they can be counterproductive. 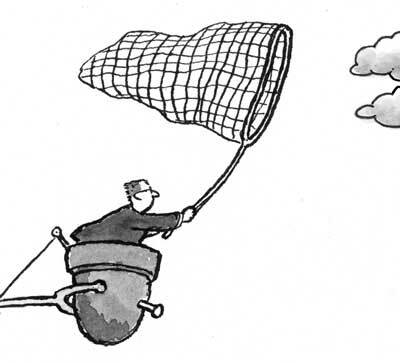 Cartoon showing how too many facilitators can make action impossible. 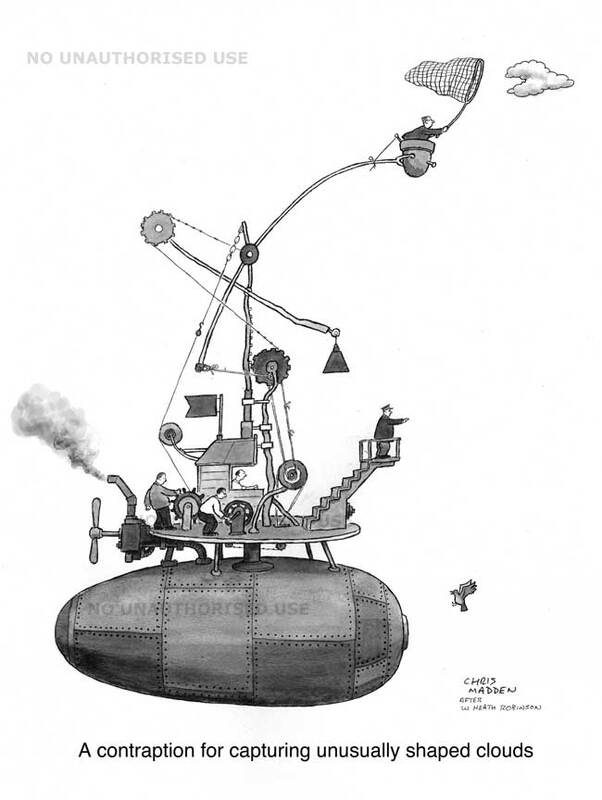 The hinges in the cartoon can be metaphors for committees, too many cooks, lack of functionality, excess, excessive help, excessive aid, counterproductive aid. 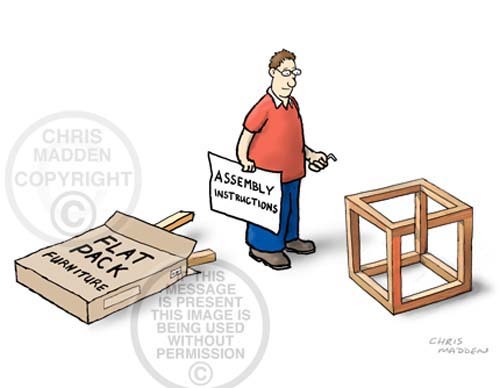 An illustration showing someone assembling a piece of flat pack furniture, and finding that in the process he’s accidentally constructed an impossible cube (or irrational cube). An impossible cube is an optical illusion in which a solid framework of bars that form a cube have their appearance manipulated so that beams at the back seem to cross in front of beams at the front and vise versa. The impossible cube was used by M C Escher.